Traditionally Siemens releases functional twins and now that is a new 75th series. 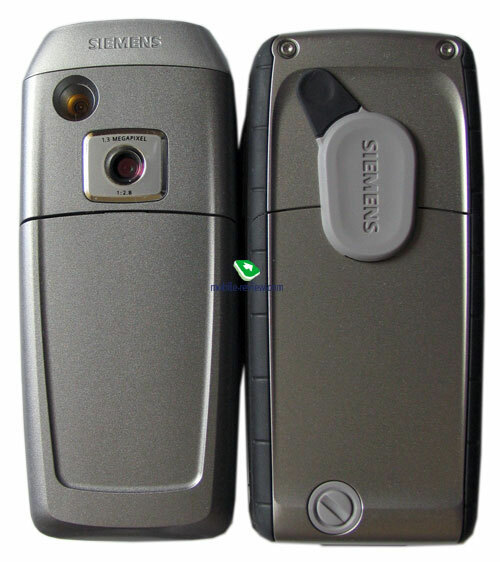 They are Siemens CX75 and Siemens M75. 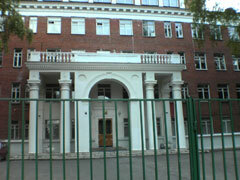 The second device distinguishes by a protected body and its delivery package. Also the manufacturer tried to stress the difference with distinct preinstalled applications, we'll separately describe the ones present only in the CX75. The M75 should be considered an elder model, however, it doesn't compete with the younger one due to its targeting at a separate niche, and thus the audiences do not intersect. Further we'll speak about both models and stress specially the points they are different at. Al the serious changes finish here, however, the absent EDGE may have been principally realized, for instance, the S75 is equipped with it. As usual and banal, the developers lacked time to realize all the new possibilities. Siemens CX75 design, ergonomics. The dimensions higher than average for this class on the market were inherited from the S65 (110x48x19 mm). The model is rather big and better suits men's hands than women's. Although the weight of 98 grams will suit both. We estimate the gender distribution as 70 to 30 (men to women). 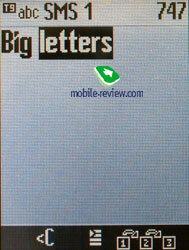 The big size of the body allowed large keypad with comfortably distanced buttons. 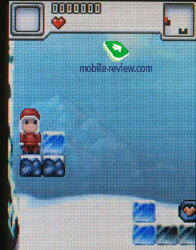 Working with it is convenient, the characters are seen well for both languages (for localized phone versions). The backlighting is white; symbols on the keys are seen is all the light conditions. 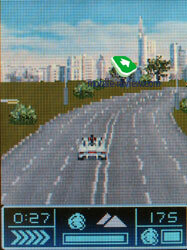 A browser button is under the joystick. 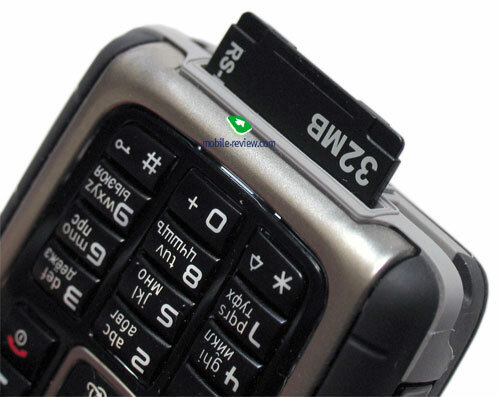 The soft-keys are less comfortable than the rest keypad, however, they make no serious troubles. The joystick with a silicone insertion on top to protect sliding is sunk into the body. There is a problem with it. Sometimes when pressure you'll hear a mechanic click, but no menu item will be selected and you won't enter the main menu. You'll always need to use the complete amplitude when pressing, since otherwise "mistaken" pressures are possible, that is when you hear the click, but the phone didn't process the pressure. The CX75 suffers from this less than the M75, another joystick construction makes the problem reveal more often there. 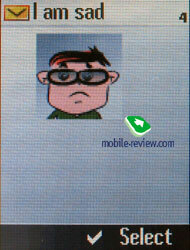 The problem can't be called serious, that is a slight technical shortcoming spoiling the whole impression of the phone. 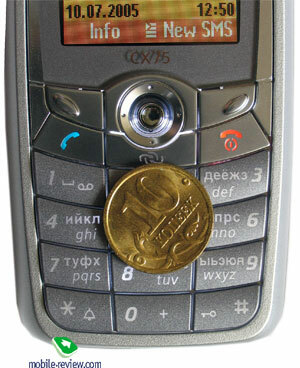 A camera button and a Push to Talk one are placed on the right side. The keys are large and comfortable to press. 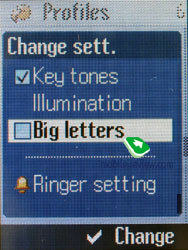 The left side lacks volume buttons, which is a disadvantage. A standard interface connector coinciding with the one of the 65th series is on the bottom. The accessories are compatible also. And here is an RS-MMC slot covered with a plastic shutter fixed to the body. The shutter is opened with a finger hocked with your (plain and easy). 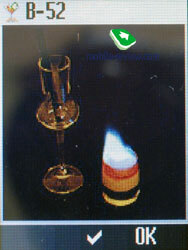 The card is hard to insert and remove due to the slot is too deeply sunk into the body. An MMC adapter is better to use then. It is included into the kit and is comfortable to press the card inserted, then it'll fall out. 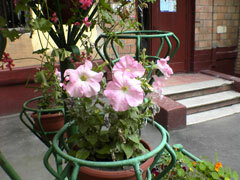 The same operation is principally possible with your hands, although less comfortable. 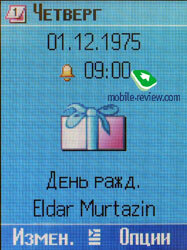 A fully-functional IrDA is on the left side (even as a GPRS modem to transmit content to the phone or from it). On the back see a 1.3 MP camera objective and an antenna adapter slot (not covered). 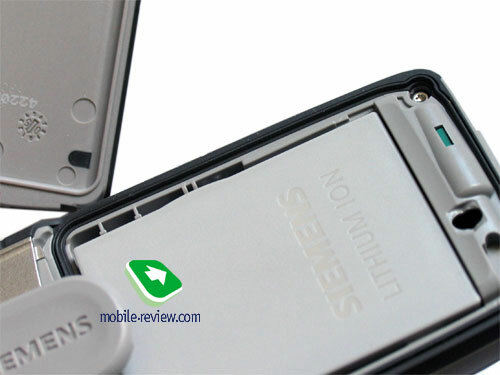 The back cover closes the battery compartment, however shows some free gap under it. That doesn't tell upon the fixing quality, the cover is reliable and has no backlash. If it appears with time, the backlash will be minimal. We should mention the cover primordially has a slight gap with the upper part of the device, it's about half millimeter. 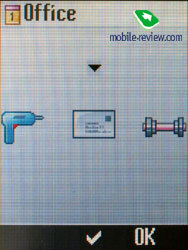 That is natural and typical for all the phones; let's consider it a design element. A neck strap is fixed under the back cover (though, wearing the phone on your neck is uncomfortable due to the size). Estimating the assembly quality of Siemens CX75 we'd note it doesn't crackle in hands (if not pressing with all your power), the assembly is qualitative. 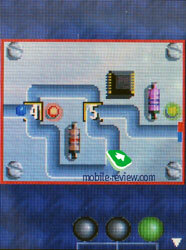 The gaps between phone's parts are present, though they are slight and resemble design elements like lines. Remembering the first parties of Siemens CX65, it had serious shortcomings with the assembly and here they are absent. Unlike the younger models CX65/CX70, here interchangeable panels are refused, that is a curious change for this class. The device is released in several colour solutions - SandSilver, TitanGrey, Black. The last variant is operator's and later may appear in free retail. Siemens M75 design, ergonomics. The first difference from the CX75 is a rubberized body, or more correct, sides. 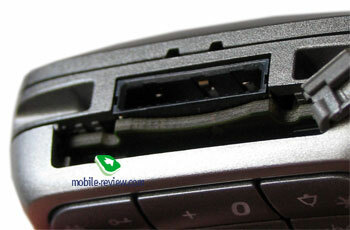 Top and bottom ends of the phone have no rubber protection, however, falls are more seldom then. 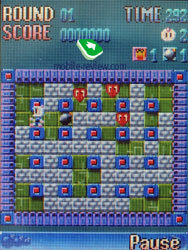 A metallic insertion rounds the screen ad a keypad block. 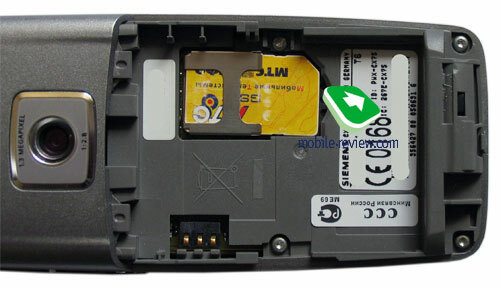 A rubber lining is put between the phone's parts. The back cover of the battery is fixed with a screw pressing it to the body and providing reliable fastening (no backlash owing to this). The M65 possessed the same construction. The protective cover is plastic and painted in the body's colour. The thickness is increased for higher firmness to mechanic influences and hits. The strap hole is put the left side from under the battery cover due to waterproof features. An interface connector is placed on the bottom end, a separate plastic bibb is predicted for it. 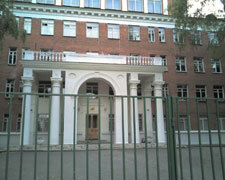 It also closes the RS-MMC slot. You won't loose the bibb accidentally, since it closes the slot firmly. The disadvantage is when connecting the headset, you'll have to remove the bibb and put it somewhere. 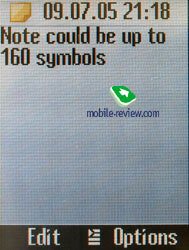 Due to its small size it will be easily missed in a pocket. A rubberized camera edging is on the back surface, a mirror is a bit lower (absent in the CX75). A bibb closing the camera and antenna connector is included into the kit. 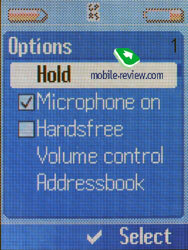 Two camera buttons and Push to Talk are on the right side surface. They are rubberized and hard to press. Now the M75 has no rivals in dustproof, waterproof and shockproof features, it even exceeds Nokia 5140i, which is explained both with materials quality and the peculiarities of the construction. 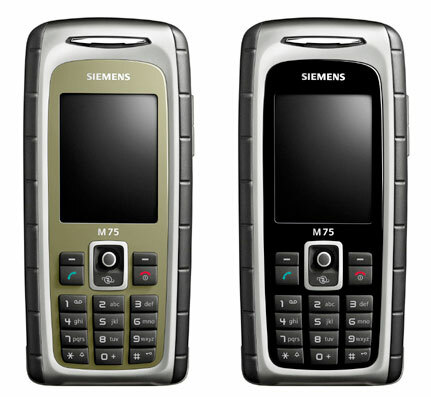 So, due to the absence of other products of this class on the market Siemens M75 stays alone. The phone size forms 110x51x21 mm being close to the CX75. 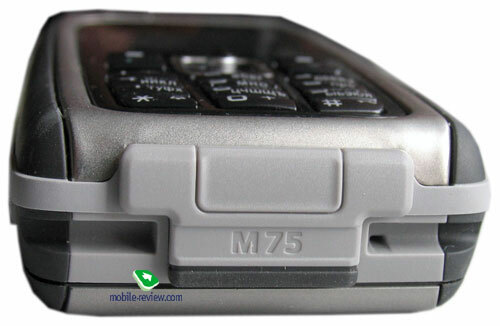 However if the CX75 looks big and like on the verge, then the M75 is only big enough and chubby. The phone size prevents from comfortable carrying in a shirt's pocket and it will surely suit jeans side pockets. The model weights 100 grams. We can't speak about its women and men audience due to its specific niche. 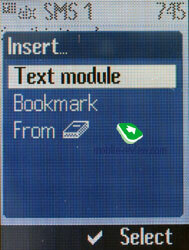 As a rule young people, student and pupils will select this device as the main phone. All the others will consider this model a phone for active walks and hiking. Unlike the CX75 the joystick is not sunk but lifted a little. But that makes even bigger motion amplitude, and as a result the joystick misses some pressures sometimes. The top is also covered with a rubber insertion. 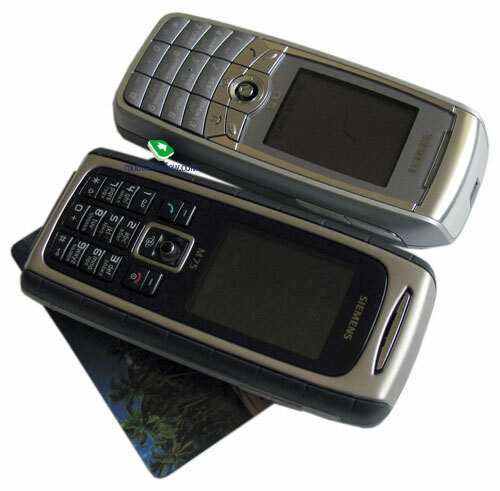 The functional keys and a number keypad are small, less comfortable than the CX75. All the buttons are plastic, and the backlighting is white. 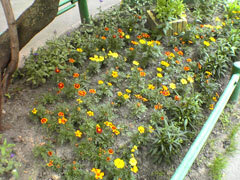 It is well seen in various conditions. 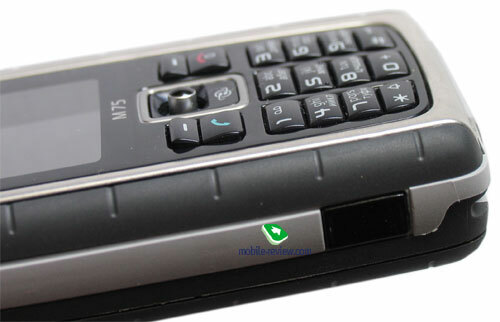 The number keypad is very dense, comfort of working is lower than average (that is the payment for protective features of the device, keys are minimal for higher waterproof capabilities). 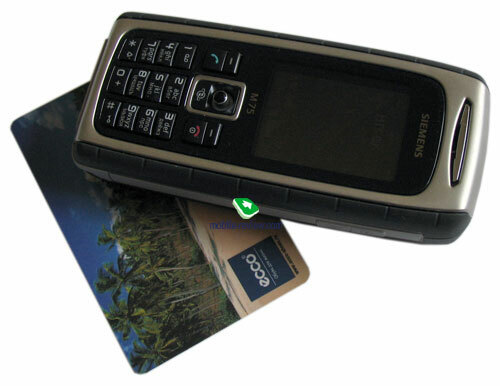 The handset is released in two colour solutions - Black, SafariGreen. Only black devices will be primordially delivered to the Russian market and then all the colour solutions will be present. A 750-mAh Li-Ion battery inherited from the S65 is integrated into the model. According to the manufacturer, the device is capable of 220 hours of standby time and up to 5 hours of talk time. 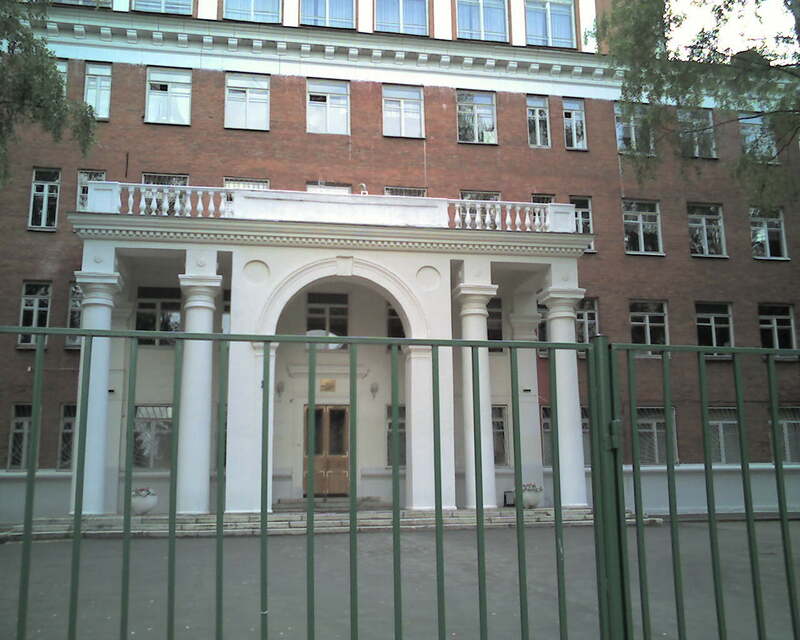 In Moscow the handset worked for about 3 days, which is similar to the Siemens S65 results (an hour of talks and up to 30 minutes of other functions). 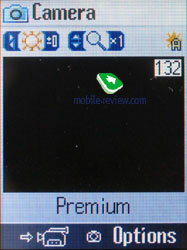 Using it more intensively will shorten battery life to 2 days. These are appropriate characteristics for this class. We'd specially stress nonlinear measurement of the battery level, the indicator is discharged much aster in the last quarter than in the beginning. 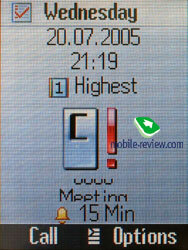 Other indicators by some other manufacturers behave similarly, for instance, Nokia phones. 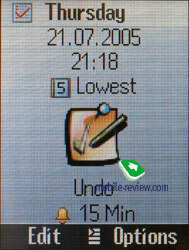 The phone has 8.29 MB of memory onboard with 5 of them used primordially. That is little space for the internal memory, but considering the fact any data (including applications) may be stored on memory cards, we can say it plays little role. Unfortunately, you can't save the taken clips on the card at once, that's why they are limited in duration. External memory card of any size possible today are supported. The 512 MB card we had worked perfectly. But the realization of working with cards rouses some cavils. Let's start with Siemens M75, since it has a memory card in the kit. It refused taking a home card saying the card is not formatted or is broken and the data is lost. 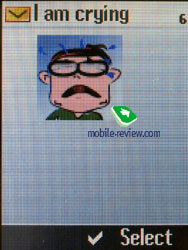 Then it offered to use the menu option "remove the card" henceforth. That looks funny, since the card was inserted for the first time. 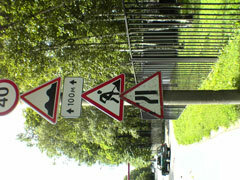 The explanation is the message s standard and appears always. 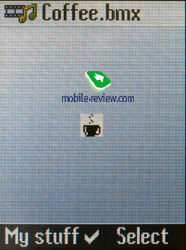 Several our attempts (inserting and removing) resulted in the device formatted the card, and it started working. The formatted and not removed card works perfectly, no cavils. 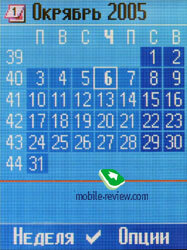 But as soon as you use a card-reader or a notebook slot, the phone may refuse reading the card (the same error messages). Our tests revealed the device disliked the most when a user creates own folders or puts files into the root folder of the card. 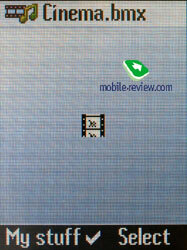 And that is what causes the most of the mistakes, working with folders goes almost perfectly. The mistakes are of chaotic character. 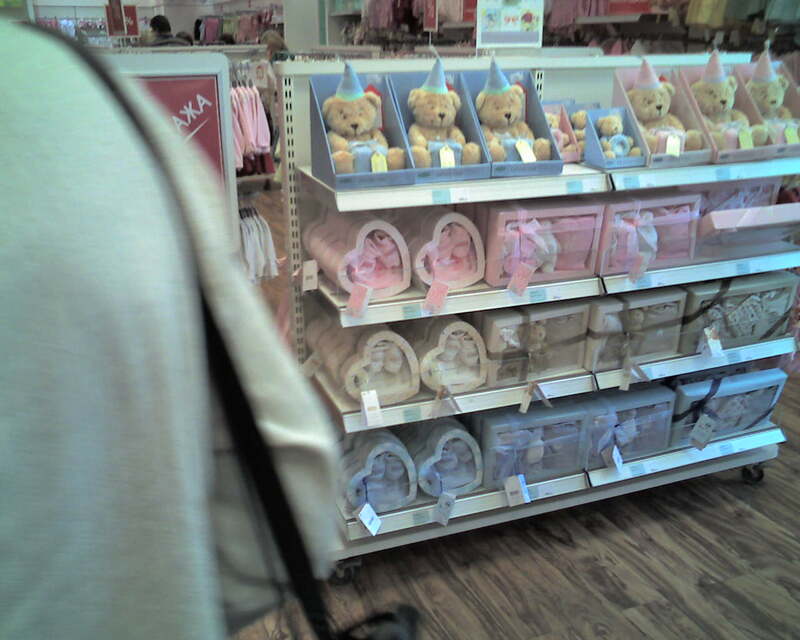 The realization is not perfect as compared with other manufacturers and is far from the best. 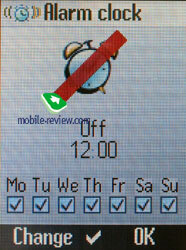 Principally this feature of the phone is easy to put up with, you should only know about it. 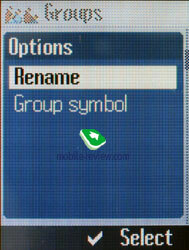 The main menu icons were again redrawn for the CX75/M75. I'll remind they were rough for the S65 and resembled childish pictures, but not business class drawings. However the icons in the CX75 got less rough (physical screen size told upon), their appearance still leaves much to desire. They are again alike childish pictures and would suit phones for children or youngsters (at least) better. 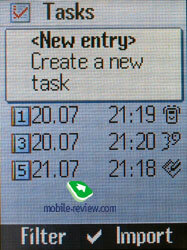 The different esthetics of the phone design is seen in every thing, for instance, compare the menu with the ones of Sony Ericsson K700, K750. 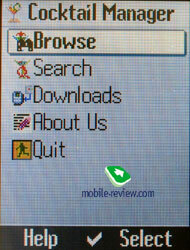 The main menu is represented with 9 icons in three rows of three icons in each. 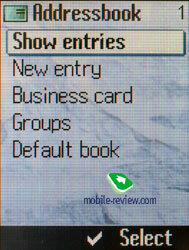 Submenus are lists and here everything is traditional. 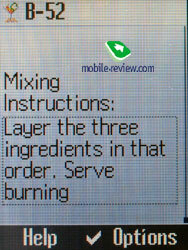 Moving along the menu is possible using number series. In general the navigational possibilities are quite close to the maximum that can't but gladden. 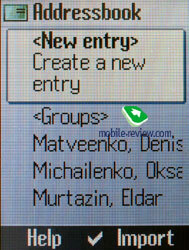 Text input rouses no problems, the device has T9 dictionaries and quick switching between the languages when typing. 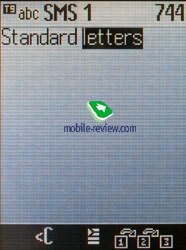 During letter by letter input lines with all the symbols assigned to this button are displayed. 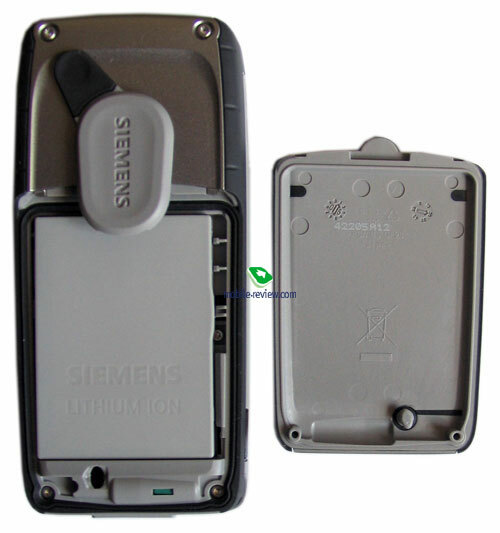 Functionally the model is a complete copy of Siemens S65. 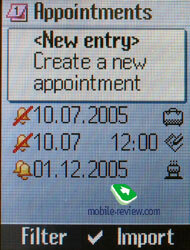 In particular, list of the last events is provided (missed calls, events, messages and so on, an icons above the left soft-key appears). 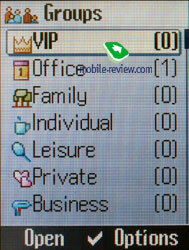 In the general list all the icons for all the filled in fields for a name are displayed (in one or two lines). 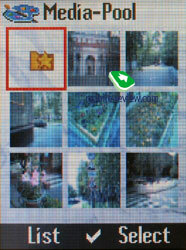 The photo is not shown and to view it you should view the whole information on the name. 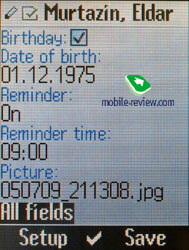 If the photo is saved on a memory card, and then the card is removed, the name still holds a link to the file, but naturally it won't be displayed at the call or viewing the name. 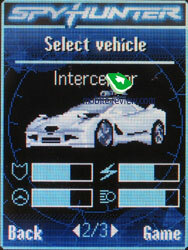 Little internal memory doesn't allow saving all the photos and other applications there, and that's why one of the cards should be used all the time. 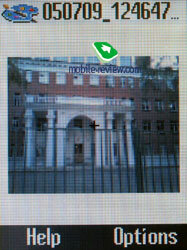 During incoming calls the picture is shown not on the whole screen but it is rather big. 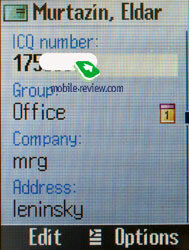 Not only the name of a caller is shown at a call, but the type of the number he/she phones from. Messages. 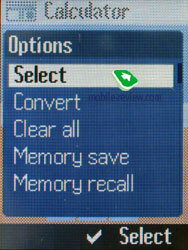 It is possible to save up to 100 messages in internal memory, which is shared dynamically. 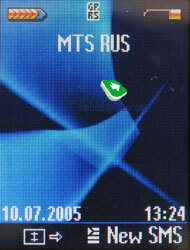 General list shows messages in internal memory and on a SIM-card, the last ones are marked with a corresponding icon. You can create templates and folders. 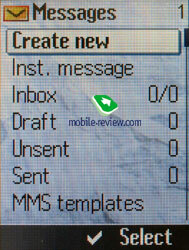 There is a support for MMS and the settings are rather simple. The interface for entering messages is really nice, it is possible to shift between separate pages quickly and there is no need in calling contextual menu. 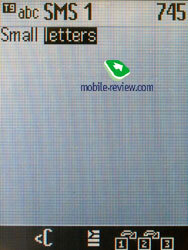 Notifications about the size of the message appearing while sending it became a pleasant surprise. Also you have to set the time period for delivery to the addressee (from one hour to eternity). If your operator charges for the size of the message the function is really important. 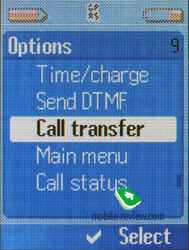 Getting MMS is possible in manual or automatic mode and the last one is possible only in your network but not in a roaming. It is interesting that in automatic mode the phone honestly warns that sometimes it can be expensive. 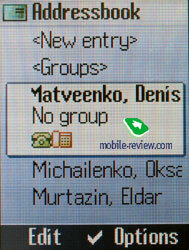 Mail client supports up to 4 accounts and is similar to other phones by Siemens in its capabilities. Russian codes are not supported fully as usual and you'll have to choose a mail server with installed conversion of the messages carefully. 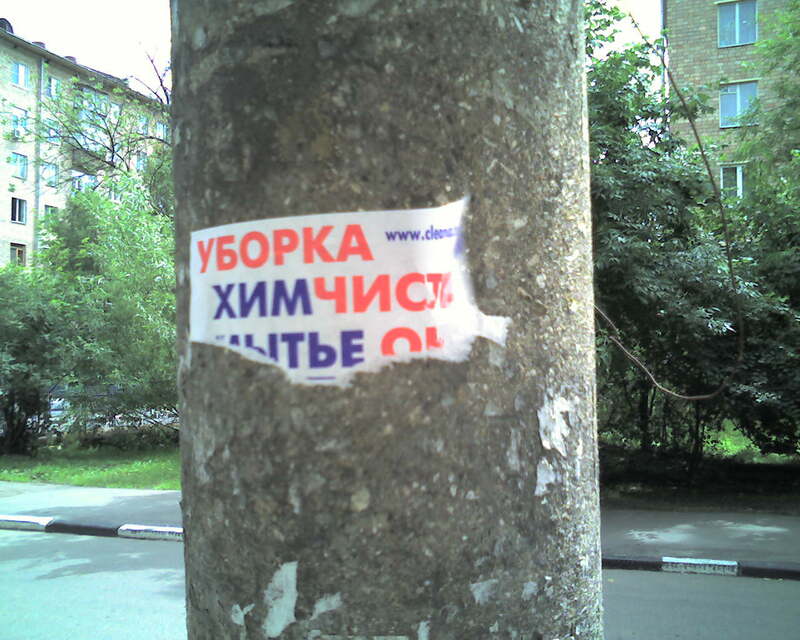 The coding supported is UTF-8. There is an opportunity to create own templates. The realization of work with messages is on the same level as the best models have. 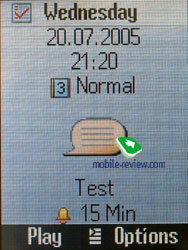 A pleasant additional feature is a possibility to choose a font-size while reading messages (standard, large and small). Call lists. 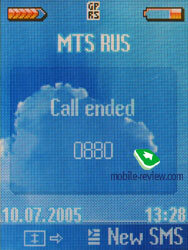 There is a call log of 100 outgoing, incoming and missed calls with date, time and duration. 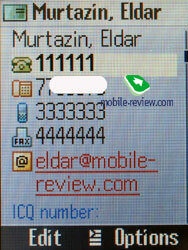 That gives a possibility to keep the calls from the same number received one after another separately and not to sum them up. Parameters. 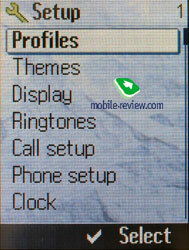 A great number of various settings is kept here, let's consider them in order. Profiles. 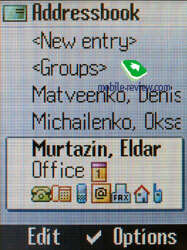 Traditionally it is possible to set the behaviour of the phone in different conditions (vibrating alert, call melodies and etc). A possibility to copy all the settings of one of the profiles into another, it is a pleasant trifle when you need to change only one or two parameters of an already adjusted profile. A profile for earphones while listening to an mp3 player is new. All the rest has not changed. Themes. 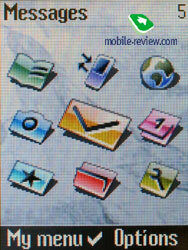 Depending on the selected theme the appearance of the menu, its color scheme, wall paper pattern change. Setting a theme takes about 15-30 seconds. The minus is that there is no any preview of the selected theme and you have to set it any way to see it. Melodies. A possibility to choose call and other melodies. 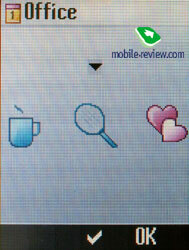 Bluetooth and IrDA are turned on from this menu. 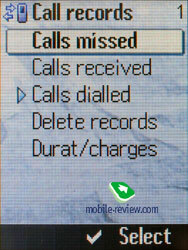 If the IrDA function is activated permanently the phone runs down in a day. Display. 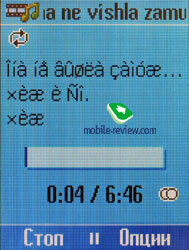 From here you also can set the wall paper, animations that appear when turning the phone on and off, font size. Organizer. 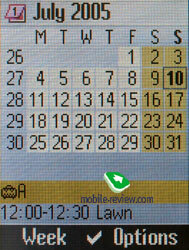 The calendar itself is organized traditionally, there is a month view, a possibility to switch to the week view with dividing on hours or to the day schedule. 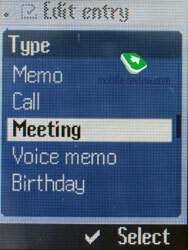 Separate menu items allow viewing all the events of a certain type, for example, meetings, notes and memos. A total number of storable events is 1000. Events may be once and recurrent, there is a possibility to set the view of all the fields while entering an event or only some of them. 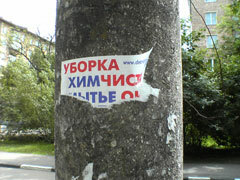 A voice mark may also serve as a reminder. 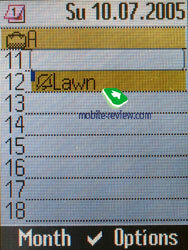 There is a separate to-do list, it is possible to set not only the date but a notification also. Evaluating in 5-mark scale is possible for a task. 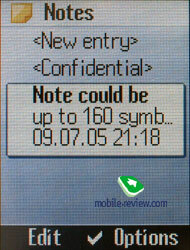 Notes are ideal to enter a small text message. 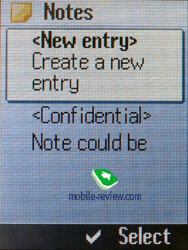 A note can be open to general use or confidential, then you'll have to enter a phone code. 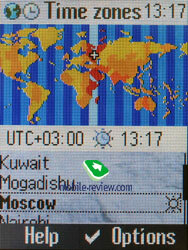 You can see world time in the biggest cities from the organizer menu, it is very convenient. A dictaphone is also here and the number and duration of the records are limited only by free memory. By default it is about 60 minutes. The dictaphone doesn't work during a conversation, and dictaphone records may be used as call melodies (activated from another menu Extra). 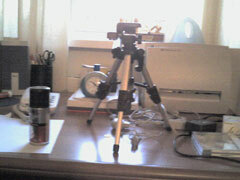 My Stuff. 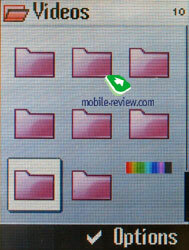 In this folder you keep all the programs and files, everything is structured and clear. 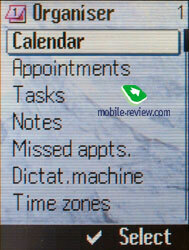 There are two ways of displaying the folders - as a list and small icons. 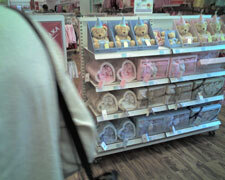 For the photos the second way is more preferable. Unfortunately, all the standard folders look the same way if displayed as icons, that makes some confusion and one has to look at notes on the top. 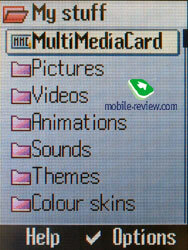 A separate line represents an access to the multimedia card data, you can create own folders, sort the files as you wish and transfer them. Extras. In this part of the menu you can find an alarm clock, it may be set for certain days of the week. The alarm clock is one. 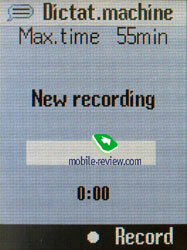 Sound recorder - it is a menu, similar to dictaphone. It allows to record a melody and set it as a call melody. 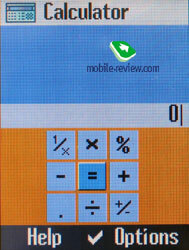 Calculator - a function to remember intermediate results (memory function) appeared, the calculator is convenient. Unit converter, everything is simple and functional. 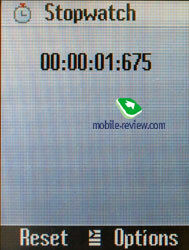 A stopwatch allows to create up to two points of reference and save them to a file. 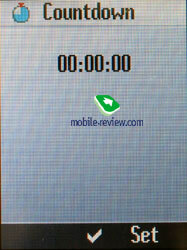 Countdown timer is also present. 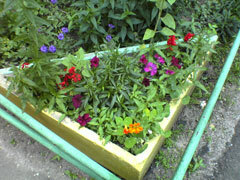 File System. The utility to view the capacity of flash memory kept for user's data. It is possible to create own folders, move the contents of existing ones, change view (a list or icons with preliminary view of graphics). 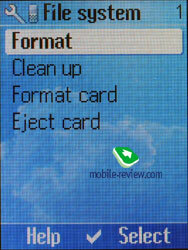 The phone may be used as data carrier, it is enough to transmit any file to it (any format). Fun&Surf. Here is a wap-browser version 2.0, the settings for it are a bit higher than average, it is easy to add new bookmarks, a large screen allows to navigate different resources easy. Musical player. The player is now the first item of the Extra section. MP3 files with various bit rate are supported (including alternating). Music is played both with a connected headset and without it. 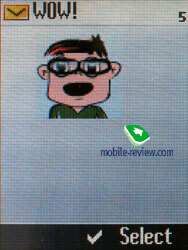 Besides MP3 the phone perfectly plays AAC/AAC+ files. But despite the majority of the rival products this model lacks mass of useful things. Particularly, there are no equalizers, they are just not foreseen. You can't fill the whole playlist with all the music automatically, each composition on the memory card is to be processed manually, selected. 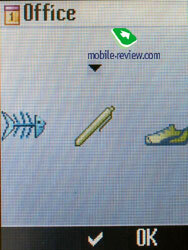 For instance, you can't add the whole folder at once. 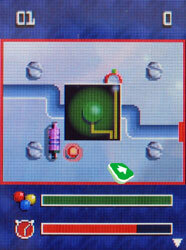 Even more, having selected files of one level, you'll drop this selection at transfer to another level. 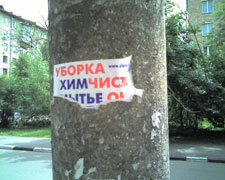 Russian tags are supported fully, and the same for other phones. You can't rewind a composition and can jump between only separate entries in a playlist. These are disadvantages. You can't use rewind inside a composition. 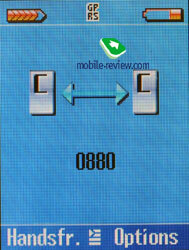 You can block the keypad while mp3 player works, but can't minimize it to work in background. That is a typical feature of two-year-old models, and now all the phones especially Korean ones (for instance, LG) support mp3 playback in a background mode. 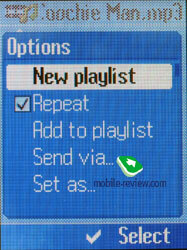 The next shortcoming is an incoming call while mp3 player working. Reproduction stops and the player can't start working automatically. That is bearable for short compositions, but for audio books that means impossibility to come to a necessary point (imagine, the book is an hour and a half in duration and you have listened to a half only). Player settings are to adjust at every moment, but this operation also stops its work and you have to start it all from the very beginning. Standard characteristics include cyclic and random playback. 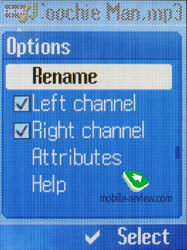 A possibility to switch left or right channels is at your disposal. 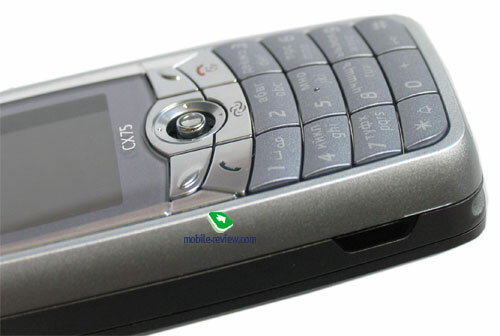 The loudspeaker playback is of good quality, comparable to Sony Ericsson K750, although subjectively seemed louder. The sound is good in earphones which are stereo with a piece of cloth on them. Generally, the player sounds similarly to the best products, but the functionality itself leaves much to desire, and that is due to the lack of time, the developers failed to finish this part in time. We'll hope the S75 will have improved software and the mp3 player will get richer. Another question is this update is unlikely to be official for the CX75/M75, since then the sales of the S75 will rouse doubts; the high-price model will not be popular as compared with these ones. Applications and games for the CX75. 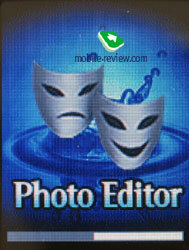 Photo Editor is an utility for editing your graphic files (version 2.5). 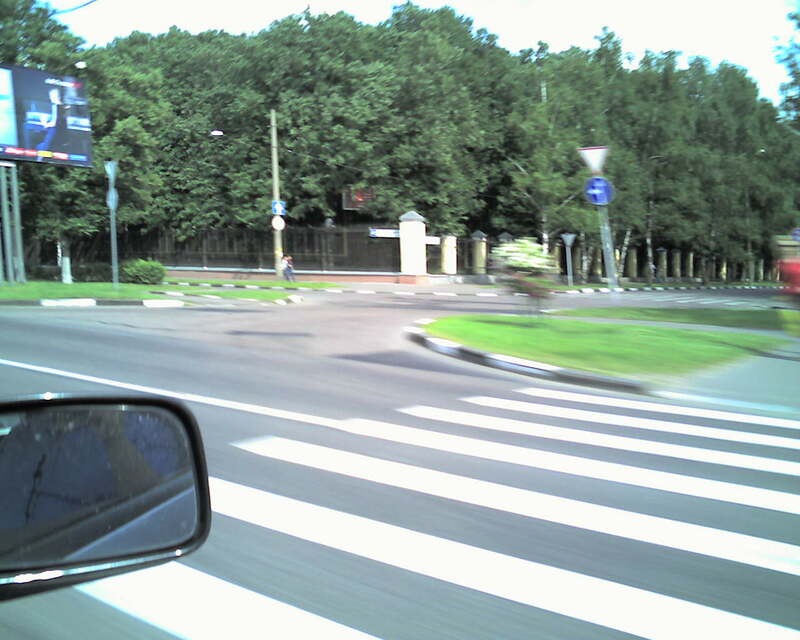 Higher functionality as compared with the previous versions, but the speed of the program operations remains low, opening a file, viewing it and so on takes minutes. My-Photos Online. 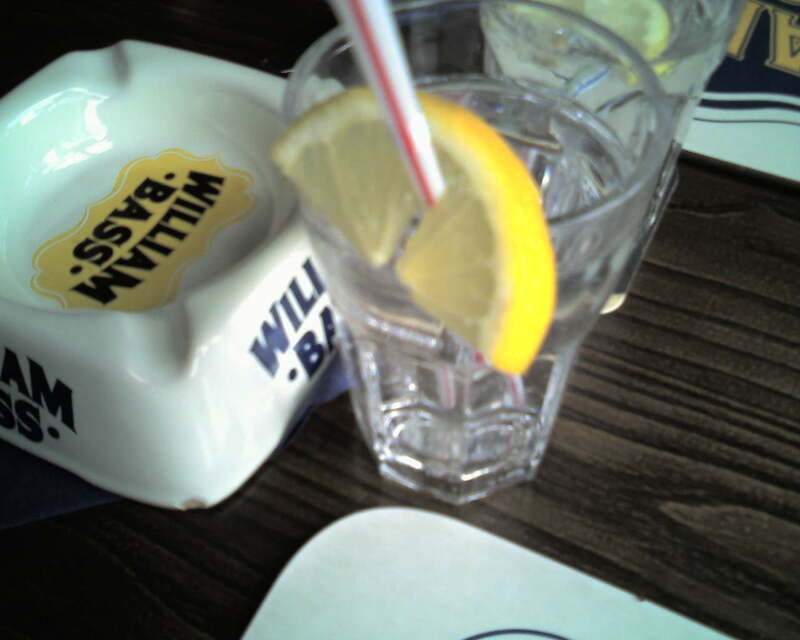 This application is used for uploading photos taken with an integrated camera to a special server. 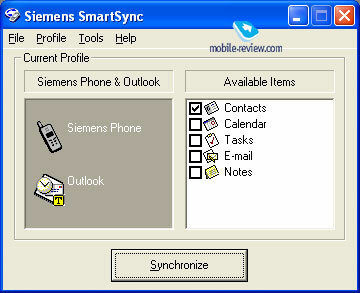 Blogging Client is a simple Siemens blog, the minimum of settings, looses to a similar application by Nokia (the last one, to tell the truth, is available for smartphones, which explains higher functionality). Games. 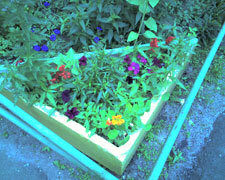 Targeting at youth influenced the umber of games positively. There are 7 of preinstalled games. The most famous ones are Sea Battle, Worms (this is an interesting and even pi game, many people bought the S65 because of this game), Magic Photo (a pazzle of the image selected by you). New games include Siemens Music Pinball (a usual pinball), Super Stack Attack (a reworked version, much better and by the way not 3D, which is an advantage), Sumo Smash (a good game to pass some time, you have to press the balls), Photo Guess is a game for memory, you have to remember the images and their positions. Applications and games for the M75. 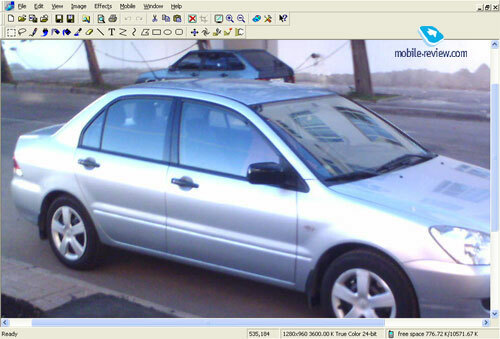 Photo Editor is an utility for editing your graphic files (version 2.5). 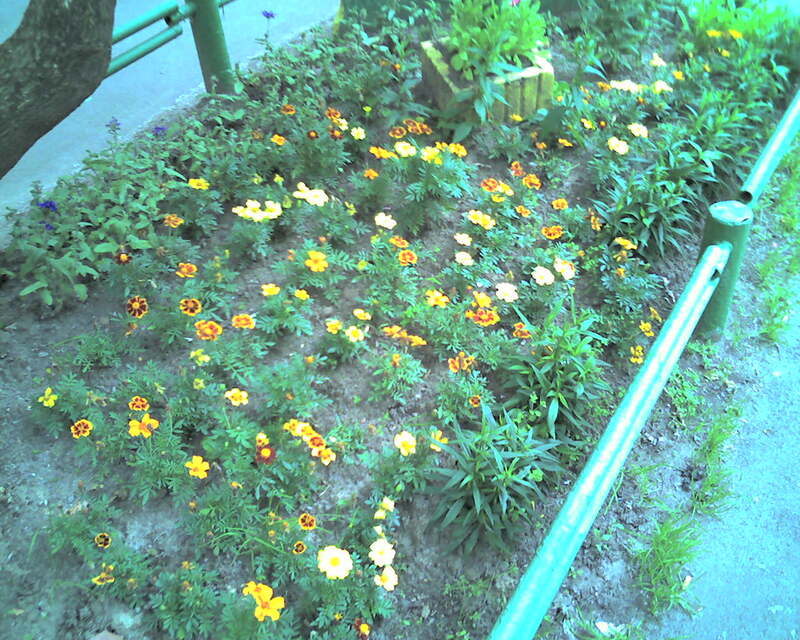 Higher functionality as compared with the previous versions, but the speed of the program operations remains low, opening a file, viewing it and so on takes minutes. Weather Forecast. This application requests weather forecast for the selected city in the network, quite a convenient funciton. Download Assistant. 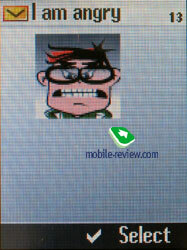 Helps uploading new content onto the phone. 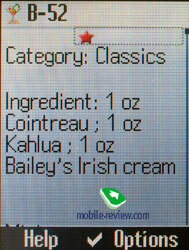 There is a Cocktail Manager among the applications, with its help it is possible to view a list of drinks, use a search by name or by the ingredients. Games. There are fewer than in the CX75 but they are mostly new. 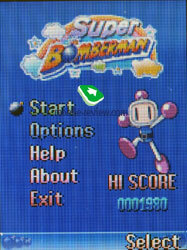 The ones worth mentioning are Stack Attack Super, Marble Crossing (an interesting game for logics), Spy Hunter (arcade racing with shooting from one car to others), Super BomberMan (a game for logics where you have to burst out a labyrinth and creatures in it). Phone productivity. We used all the three modifications of the Jbenchmark test package to measure performance. The results of the 3D test are lower than the ones for Siemens S65, CX70. The reason is another version of software but not principally new realization. In fact the results are comparable and suit today deices. 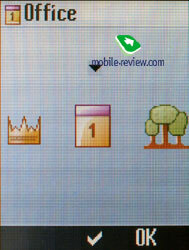 For instance, Sony Ericsson products show similar results, however, they have higher resolution. The second version of the test package shows Siemens CX75/M75 looses similar class models twice at least. The first one tells about the same. It seems the virtual machine code was borrowed from the previous devices with no optimization. 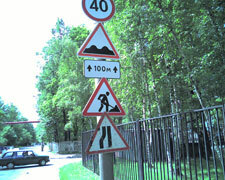 Slow load of Java-applications is caused by archive unpacking, and only this parameter is limiting. 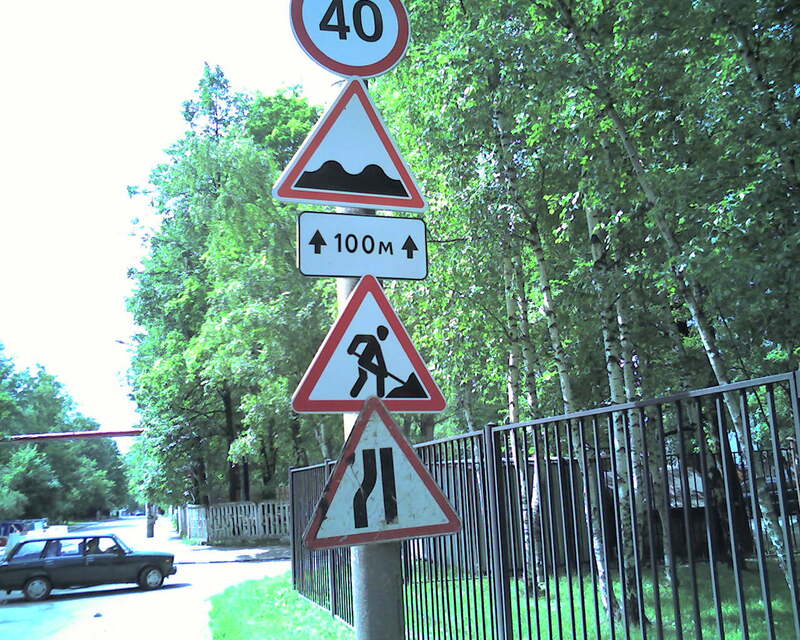 Unfortunately, we shouldn't expect higher speed in short. Camera. 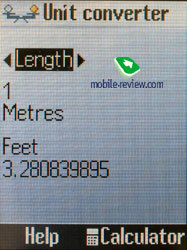 A 1.3 MP camera is integrated into the phone. And the S65 had a 1.21 MP one. 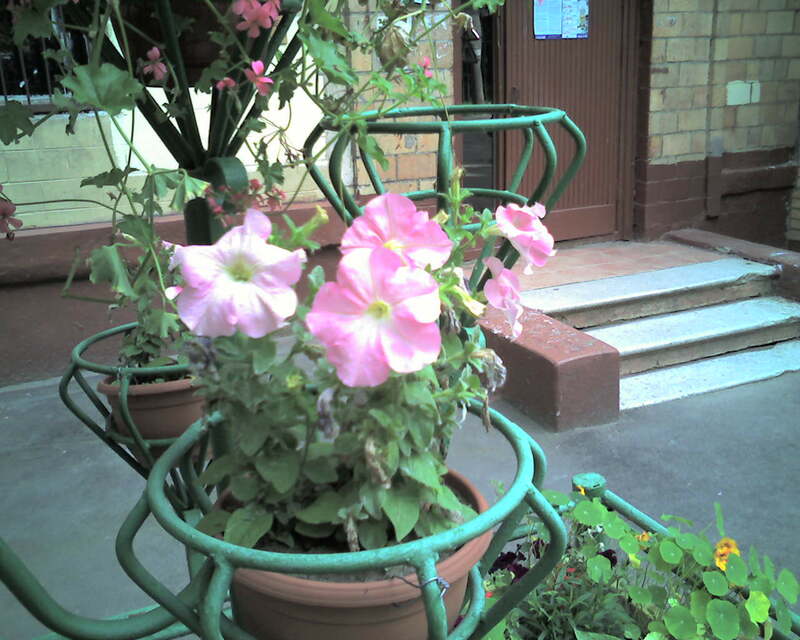 The increased resolution of 1280x1024 didn't influence the picture quality, colours are unnatural, though the image is worked out in details well. 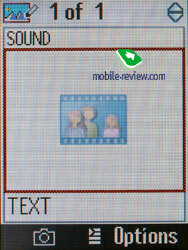 Average file size with the max resolution is 120130 KB. You can use 5x zoom, Sepia, Grayscale effects, the photos may be stored both in the internal memory and on the memory card. 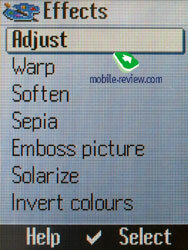 White balance is automatic, but you can set it manually for indoors or outdoors. In a viewfinder mode select brightness (from -3 to +3) by horizontal joystick deviations. 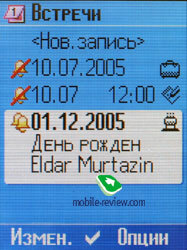 Unfortunately, this is one model where the manufacturer replaced standard clear terms with internal ones, for instance, the max resolution is called Premium and the minimal is Wallpaper. 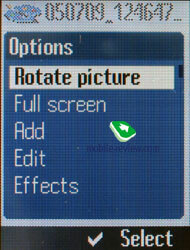 It brings no convenience to a user, viewing the resolution is possible only in folder's options. 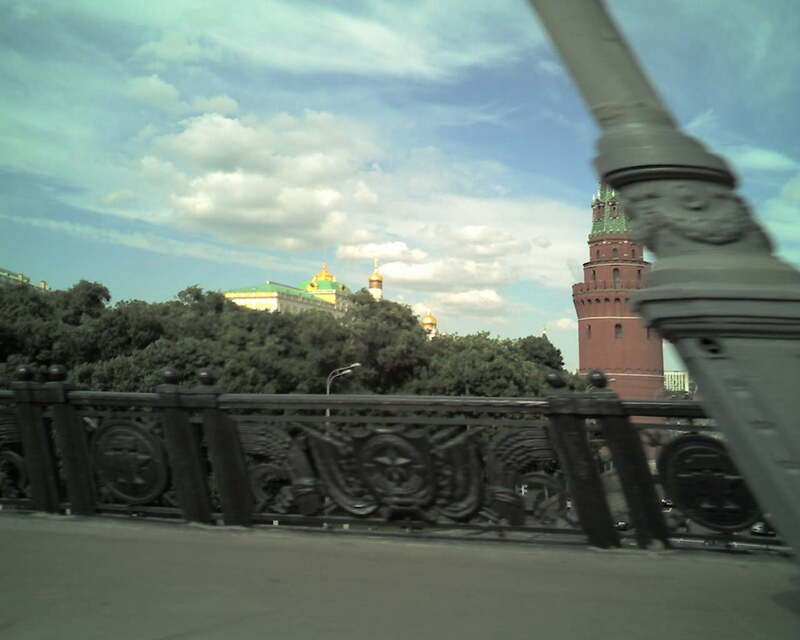 At movements (even moving your hand) the device smears the photos and the foreground image, shutter snaps into work in a second, the photo is saved for 5 seconds. Unfortunately, the device is not predicted for fast shooting. 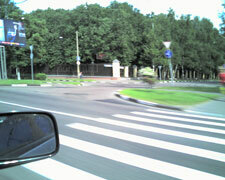 Have a look how the posts are distorted when shot from a car window at about 50 kmph. 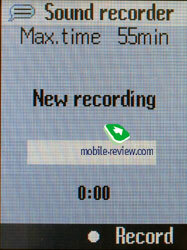 Video is recorded in two resolutions, the minimal duration is 1.5 minutes, sound may be turned off. The video quality stands no criticism, the function is not very interesting, since you mainly have to guess what is on the screen. 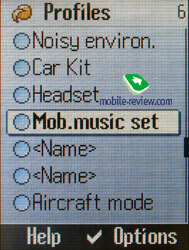 The kit contains Mobile Phone Manager responsible for synchronization. 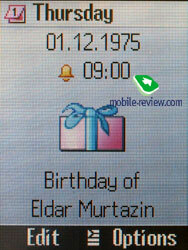 Besides there are some call melodies, pictures, screen savers, electronic manual. 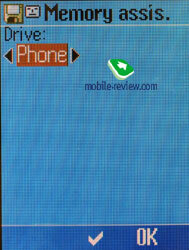 The program can synchronize with the phone via IrDA, cable, automatic Bluetooth connection. That is especially unpleasant when using a dongle by BlueSolei with corresponding software (up to 10 Buetooth ports, and you'll have to check each). 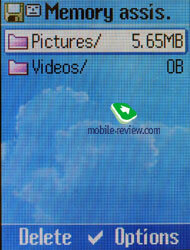 It's pleasant you can view phone and memory card contents with no problems from a PC. An important thing is you can download Java applications directly, but still you'd better put them into Data Inbox folder, if trying to save them into the Applications folder, the device won't find them. Deleting such an application will be also impossible. 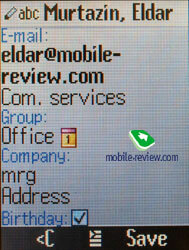 We should point out a possibility to synchronize with MS Outlook, viewing all the phone folders and memory card ones. 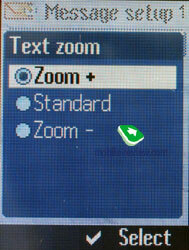 You also can edit images, download them to the phone and the same about melodies. Today the program provides rather good possibilities. 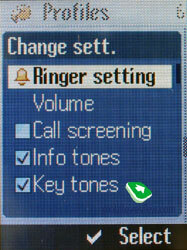 The phone is equipped with a 40-tones signal, but that is important only for midi files. 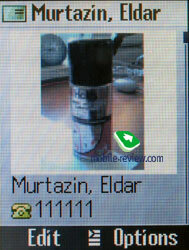 Mp3 as a call signal makes dealing with the phone easier for a user and makes tuning it routine. 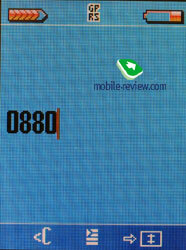 The signal volume is mainly enough, it's not bad. The power of the vibra is average. Considering the models are based on Siemens S65 and the software is practically identical, we could expect similar impressions of work and more stability starting with the first parties. That is really so, the devices are equipped with the 5th version of software that is impossible to compare with the one a year ago (the 2 version, and good work starts with the 16th). That is Siemens didn't include a USB cable for synchronization into the kit. That is a traditional for new and unstable models. 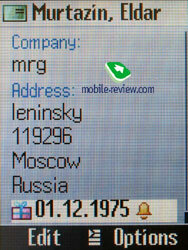 And the company hoped the software will be updates by air, the function already works in Russia. The device checks for new software on the company site and downloads it. At the same time the device showed some primordial problems, we had several restarts while synchronizing with a PC, PIN-code was not requested at start. 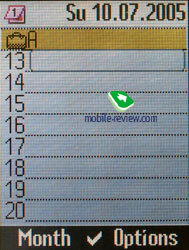 Call list buzzed several time, and even once our attempt to call the last dialed number resulted in a dialing number shown, but the phone remained in the standby mode. There is nothing extraordinary or criminal generally, problems are present but they are bearable. Localization is of the lowest level. 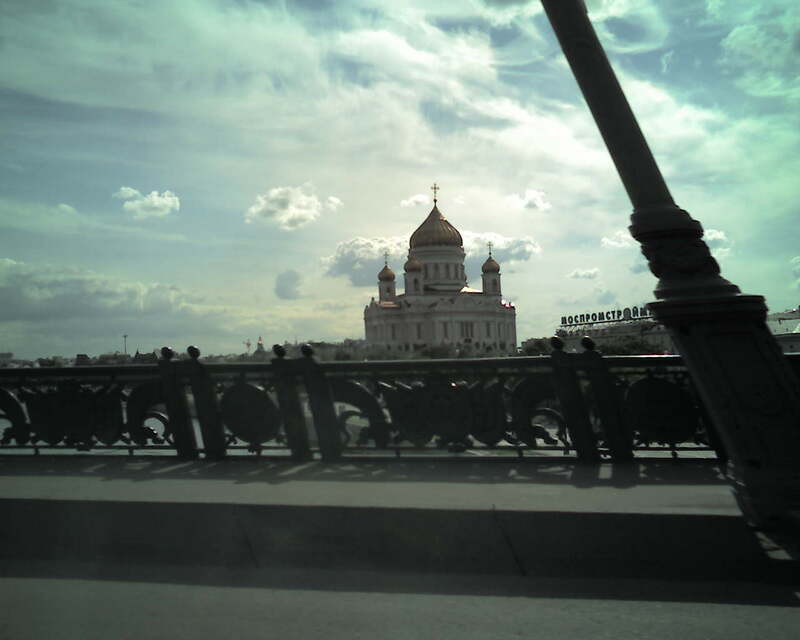 The treatment to Russian users is impressively shown in a mistaken writing of the word October for more than a year, and the company knows about it. So, in the end we have two devices with rather good functionality enough for the majority of the customers of these phones. 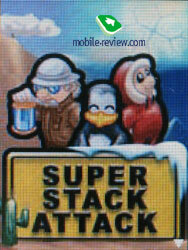 The game set is the maximum and will suit young users. And that is why the CX75's design is quite coarse in order not to scare business customers away in future. 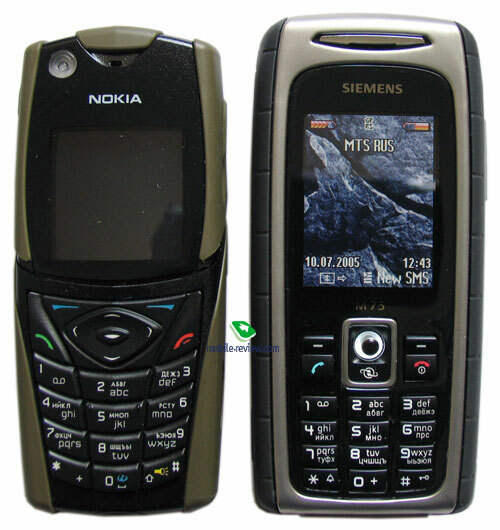 Siemens M75 has no direct rivals, it seems incorrect to compare it with Nokia 5140i, since the Nokia's model looses almost in all the parameters. Buying the M75 seems well-taken due to the absence of the rivals especially as the second phone for hiking. The main disadvantage of the CX75/M75 is a partial mp3 player; it mainly crosses its presence and demands serious development. 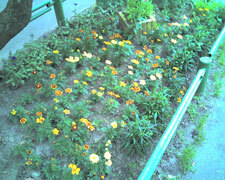 The megapixel camera is average in characteristics, doesn't offer good video quality, photos sin with unnatural colours. But again that is enough for this class. 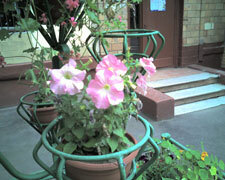 The model may be surely compared with Nokia 6230i in the camera quality. In Russia the CX75 costs about 220 Euro, in Europe the model has just been launched and costs about 270-280 Euro. The price is obviously too high, it should form about 180-200 Euro especially considering the absence of the memory card in the kit and the headset also absent (then add them to the price of the CX75). 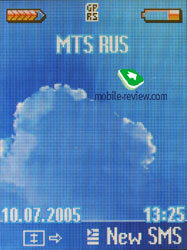 Motorola E398 is a rival phone (it costs 180-200 USD), that is a low-end solution for those who looks for an mp3 player and interchangeable memory cards. 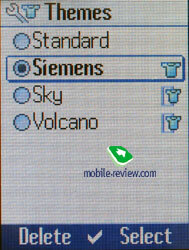 The model looses to the CX75 in the camera and other characteristics are quite comparable (the screen is better, internal memory is equal, Siemens provides a better address book and organizer). Sony Ericsson K750i competes with the model in the high segment, its European price without a contract got close to 300 Euro, the model is very easy to find for 330 Euro. 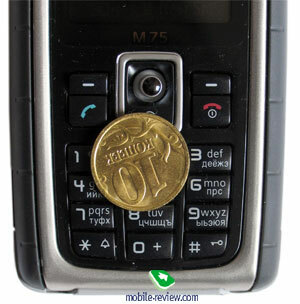 The Sony Ericsson's model belongs to another class and can't be compared with the Siemens's ones due to the price gap. Siemens suffers the decrease of the interest to the brand, the sales of the CX75/M75 are minimal due to the absent advertising. We advise buying these phones to the brand worshipers, the phones' functionality satisfies well even considering the shortcomings named above. If you can wait till September buying the models will get well-taken due to the price fall. 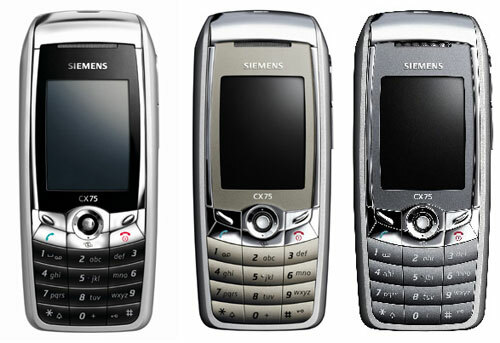 That is curious Siemens S65 turned into a "dead" product with the appearance of the CX75, it provides no advantages over the new device.